Classified as a Primier Cru in 1855, Chateau Climens has often been called the "Lord of Barsac" because of the incredible elegance of the wines. The definitive personality of Chateau Climens is, above all, derived from its unique limestone terroir. 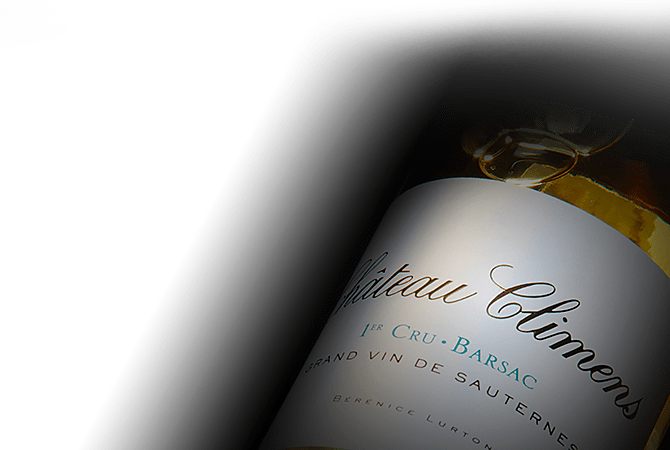 Chateau Climens derives its name from the Celtic word “Climens” meaning “unfertile or poor land” and it is exactly this poor soil that makes the terroir of the Chateau perfect for producing stunning sweet wines. Chateau Climens exclusively grows Semillon, which in the wonderful iron-clay and limestone soils achieves outstanding aromatic complexity and freshness. With a reputation for unfailing purity and reliability in all vintages, Chateau Climens wines are considered one of the best sweet wines of Bordeaux. Bérénice Lurton and her team consider working the vineyards and winemaking at Chateau Climens an art. The 30 hectare vineyard is located on the highest point in the appellation of Barsac and is planted with 100% Semillion grapes.